This is the moment thugs launched hammer attacks at two of the five Islamic centres targeted in Birmingham as part of an overnight rampage. The attacks happened less than a week after a white supremacist allegedly shot 50 Muslim worshippers dead in Christchurch, New Zealand. And they have left Muslims in Birmingham in fear. 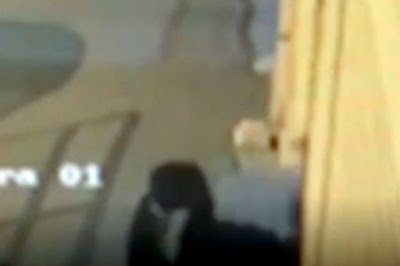 CCTV footage from Witton Islamic Centre shows a man in a hoodie smashing the window with an object - believed to be a sledgehamer - before sending shattered glasses into the mosque. He then quickly sprinted away from the scene. 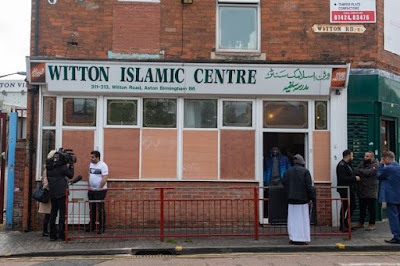 The five targeted mosques are the Witton Islamic Centre, the Masjid Faizul Islam, the Jam-E-Masjid, Muslim Community Centre Aston and Al-Habib Masjid – all within two miles of each other. West Midlands Police say they are treating all five attacks as linked and counter-terror police are working with them on the investigation.